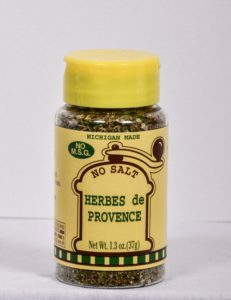 This tasty blend of herbs is great for stews, baked tomatoes, roasts, chicken, pork and soups. 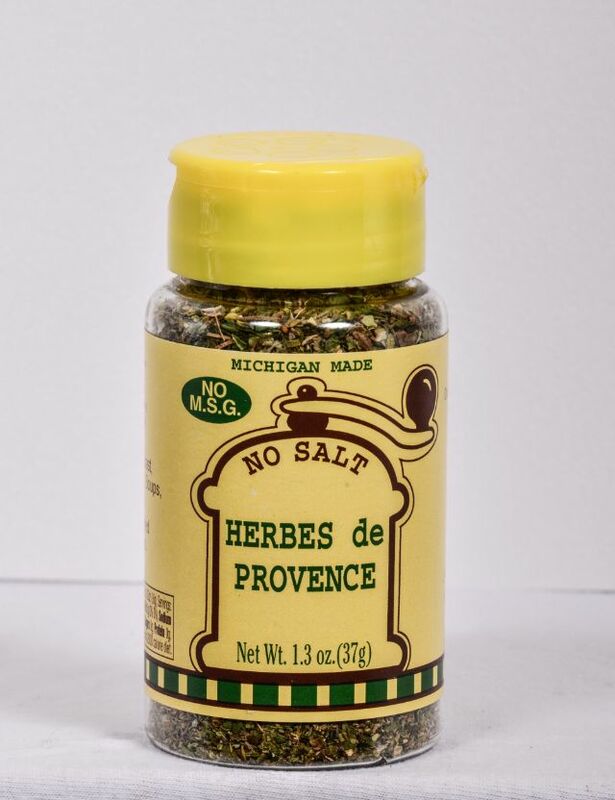 It was created in southern France but ours has no lavender. 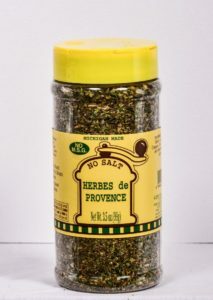 All the flavor your looking for without the salt! 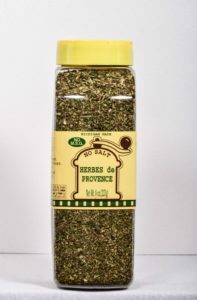 Thyme, Savory, Marjoram, Oregano, Cilantro, Parsley, and other Herbs and Spices.